Looking for some Spring Cleanup opportunities? 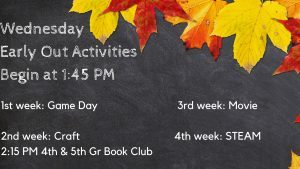 There are several opportunities available in the next few weeks to help you cleanup. Do you have a bunch of plastic bags? 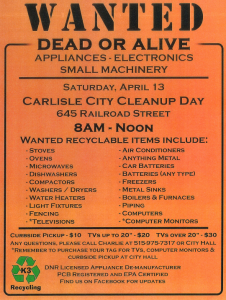 Do you want to help Carlisle with a chance to help beautify our community? In celebration of Earth Month, MWA is offering their annual plastic bag swap. Turn in a bag full of plastic bags at City Hall and you will get a reusable bag in return. Additionally, the community with the most bags collected wins a bench made of recycled materials. 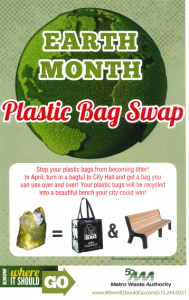 Every bag collected during April helps towards both winning the bench and cleaning up the earth! Did you use your tax refund to get some new appliances or a computer and not sure what to do with the old ones? Appliances and electronics can sometimes be difficult to get rid of. 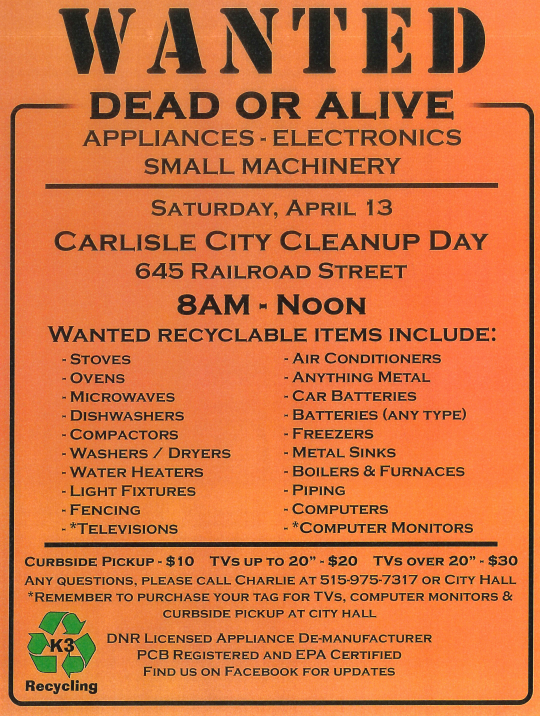 Saturday, April 13 the City is offering an opportunity to safely dispose of some of those items. Bring items from the list below to the Public Works Shop at 645 Railroad Street from 8:00am-Noon on the 13th. There is no cost for items you bring other than televisions. Additionally, curbside pickup is available for $10. 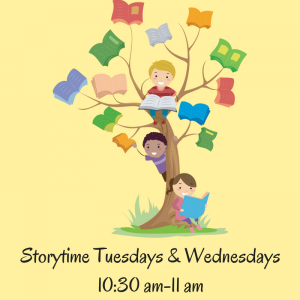 Items other than appliances like batteries and piping are also accepted. Another thing that can be difficult to safely get rid of is confidential documents. 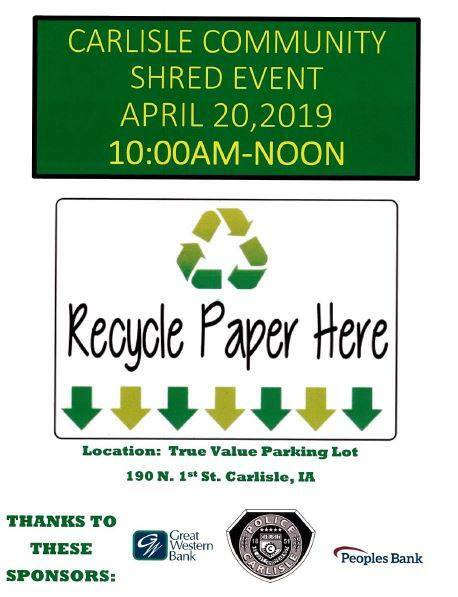 To help curb problems like identity theft, Carlisle Police Department will be offering their annual Shred Event with the support of Carlisle True Value, Great Western Bank, and Peoples Bank. 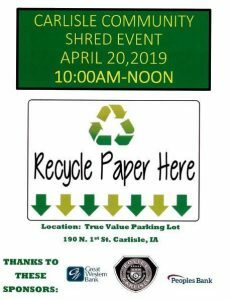 This event will be held from 10:00 a.m. to Noon on April 20 in the True Value parking lot.